This issue usually happens when the mail merge session is using a CSV file for the mail merge fields. Most likely, Easy Mail Merge didn’t import all columns because the CSV columns are not properly delimited using the standard comma separator. See this tutorial on how to properly format a CSV file. If re-inserting the field doesn’t solve the problem, try changing the email format (from the Outlook Format Text menu). 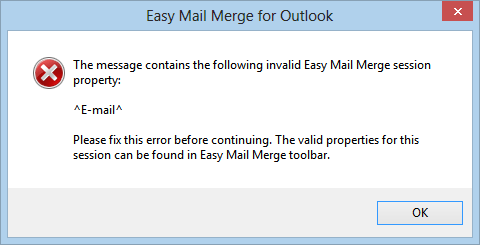 If you receive a timed out error while sending the mail merge emails, most likely you configured the Send Rate (from the Easy Mail Merge Send Options window) to connect too often to send the emails. For example, if you opted to send 1 email every 2 seconds, Outlook may not have enough time to finalize a Send process while the next Send process comes in, after only 2 seconds. Also, avoid starting a manual Send & Receive job while Easy Mail Merge sends the emails. The more mail server connections you attempt at a time, the more likely it is for Outlook to trigger a time out error (because the outgoing mail server can’t respond to all these requests). To prevent these time out errors, simply configure the mail merge session to generate more emails per Send job (like 30 per 60 seconds, which results in the same amount of emails per minute as sending 1 email every 2 seconds, but it doesn’t force Outlook to connect to the server for 30 different Send tasks). Most likely, you have marked the option to limit the number of Outbox emails using the Queue option. 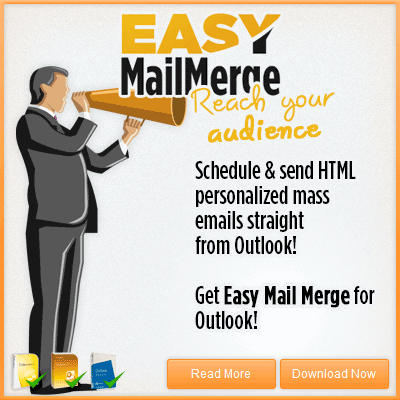 For example, if you chosen to Queue at most 200 emails, Easy Mail Merge will generate 200 emails, then it will wait for Outlook to send them before generating new mail merge emails. If your Outlook Send & Receive schedule rate is set to 30 minutes, Easy Mail Merge will have to wait 30 minutes for Outlook to send the emails, before making new ones. To solve it, please increase your Queue rate or decrease the Outlook Send & Receive schedule period. 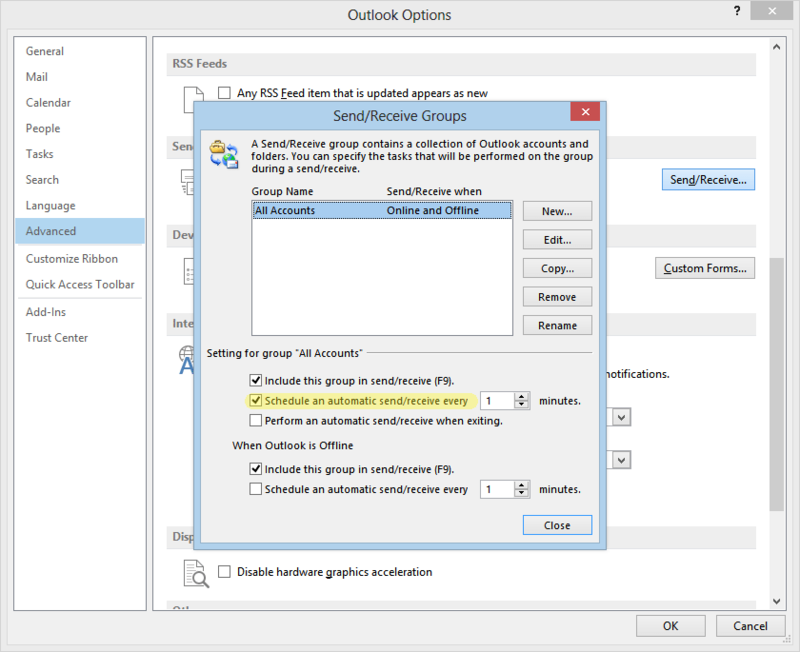 If you didn’t specify any Send Rate and your emails are stored in your Outbox mail folder without being sent, it simply means that Outlook didn’t yet trigger a scheduled Send & Receive job, to send the emails. To fix it, change your Outlook Send & Receive period to a lower value (like 5 minutes, instead of the default 30 minutes value). If the above solutions didn’t solve your Easy Mail Merge issue, please drop us an email at support@outlook-apps.com or simply post a comment to this article using the below comments system.